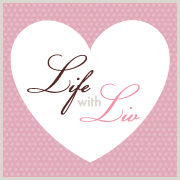 Life with Liv: Our thoughts on the October Degustabox. 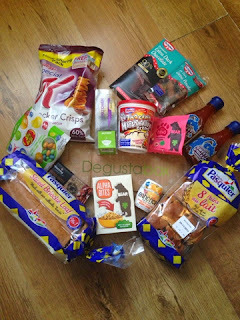 This month we were very lucky to receive a fabulous box of treats from the lovely Degustabox. After confirming my delivery details I was advised that I would be contacted with a two hour delivery window on the day of delivery which was very helpful and also sent my excitement through the roof! 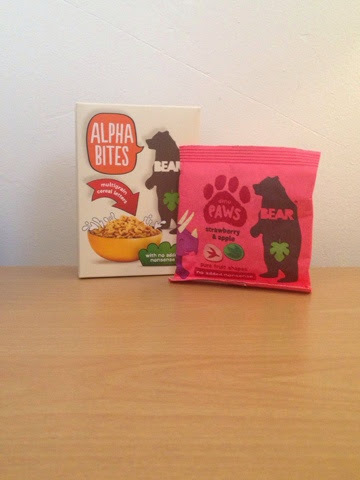 Here is a sneak peak inside the packed box - excitement by now is off the scale! Enough teasing - here is the total contents of the box. 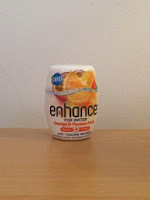 A really good mixture and some products I have not seen before which I love. 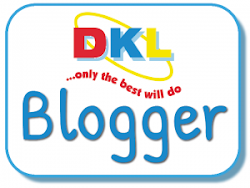 So here we go, these are our thoughts on the products we received. 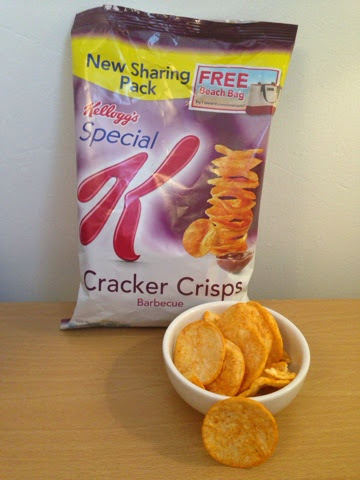 Usually in our house, when you want crisps you get crisps because every low fat version we have tried have been nothing like the real thing. these however are so yummy we have bought them ourselves since. A hit with Mummy, Daddy and Liv. Yummy slightly sour jelly beans in 5 flavours. 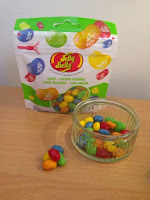 Liv actually ate these and she never eats any kind of sweets! I really didn't know what to expect when I opened this pot! 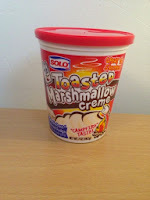 Sticky, sweet marshmallow crème was a perfect filling for a "no bake cake" Available from www.americansoda.co.uk. 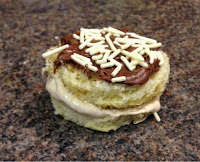 Liv used a scone cutter on a piece of brioche bread, spread marshmallow crème on, she cut another piece, popped that onto then topped that with a chocolate spread and sprinkles from the cupboard. 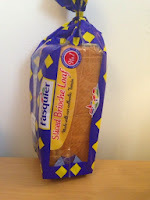 This brioche loaf was amazing! It almost has a cake sponge like texture and the lovely sweetness made for requests of "more toast please Mummy" at breakfast time. 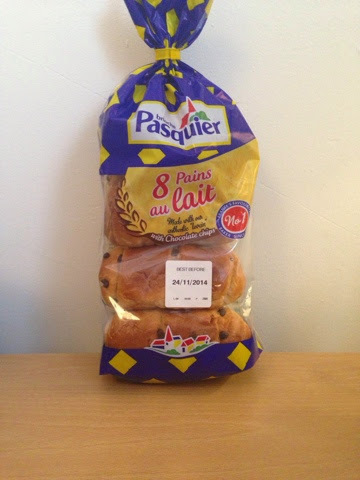 These little brioche rolls were delicious (for the five minutes they lasted in the cupboard!) 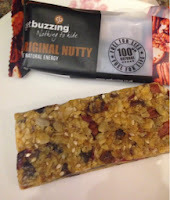 They have a lovely moist texture and the chocolate is ever so slightly bitter so it isn't too sweet. Perfect slightly melted after 10 seconds in the microwave. 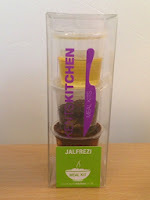 This handy pot is filled with fruit juice ready to transform your water into a delicious drink. These juices are aimed at Adults, contains no added sugar and roughly 1 calorie per squirt. While this is a fantastic idea to pop into your handbag, we found the Orange & Passion fruit quite bitter but I would definitely try a different flavour. 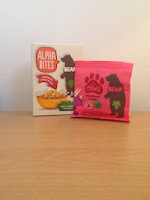 The bear fruits snacks contain no added sugar or concentrates but were still very flavoursome and sweet. Definitely a healthier option for Childrens treats. The cereal went down without any coaxing so I assume that was tasty too even without any refined sugar or salt! 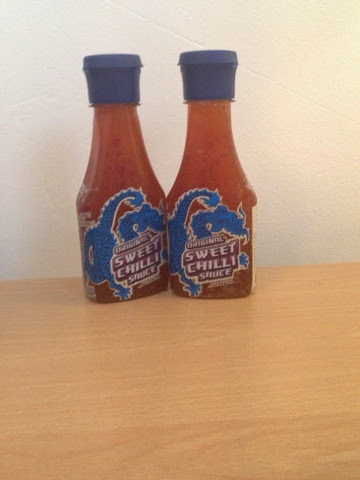 We are big fans of Blue Dragon, especially this sauce. We love to add it to stir-fry's for an extra zing and I also use quite a lot of it while making pulled pork in the slow cooker delicious. 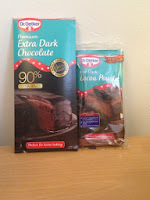 DR Oetker premium 90% extra dark chocolate RRP £2.49 and DR Oetker fine dark cocoa powder. 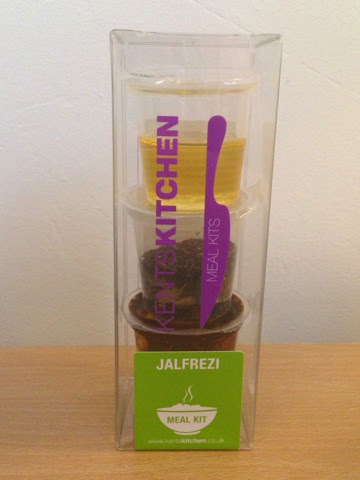 This little Jalfrezi kit was definitely my favourite item in the box. 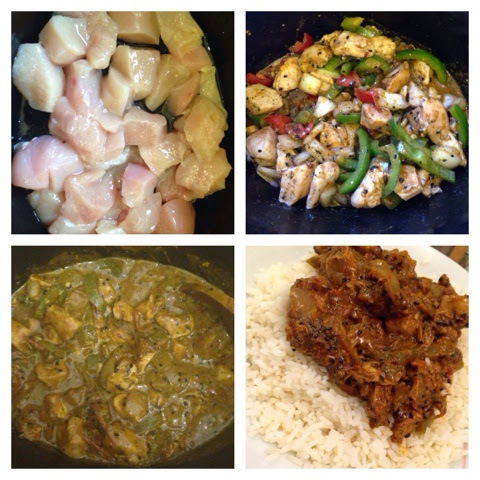 I didn't follow the instructions on the packet (makes the meal in 20 minutes) but instead added the chicken and oil to my slow cooker for 30 minutes then added the spice pot, onions, tomatos and pepper for another 30 before adding the paste pot and leaving for a couple more hours. My Husband mouth started watering the moment he stepped in the door as the house smelled amazing! 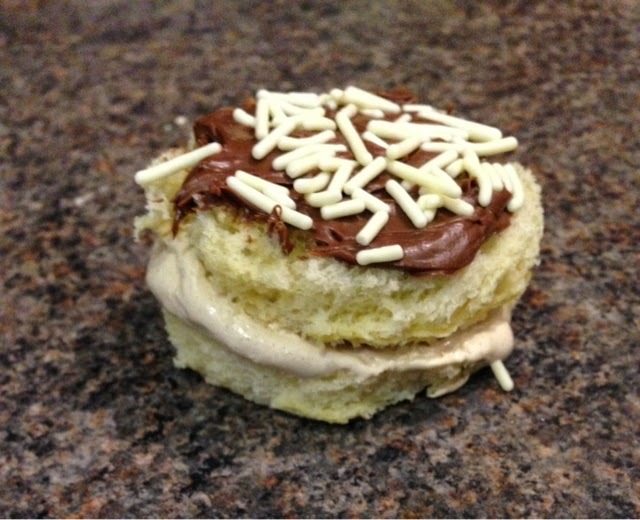 It was a tiny touch too hot for me but a splash of cream would have made it perfect. 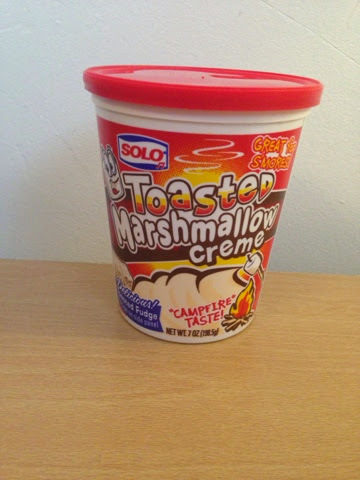 We definitely be buying this and the other flavours. 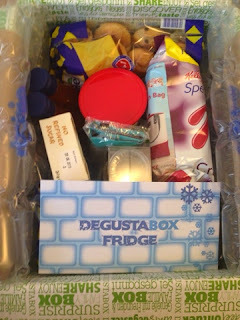 Also included in the box was a voucher to get 4 Benecol Greek style yoghurts from a participating retailer. We haven't exchanged our voucher as yet but will definitely be giving them a try. We have thouroughly enjoyed receiving and reviewing the contents of the October box and hope to continue bringing you these reviews. If you're like me and get tired of cooking and eating the same meals out of habit - why not get spice things up? A Degustabox can be yours for just £12.99 a month including delivery! 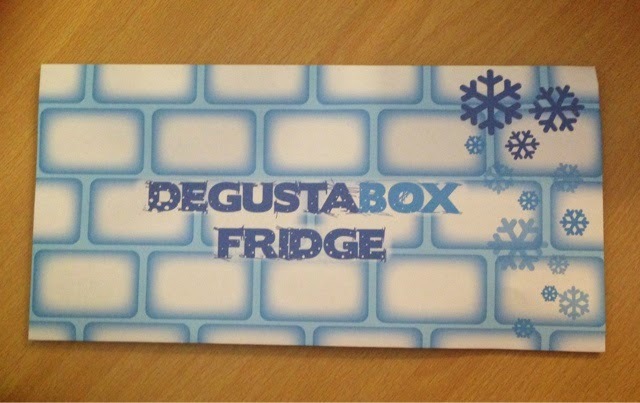 You can find out more about Degustabox on their website and contact them on Facebook or Twitter. 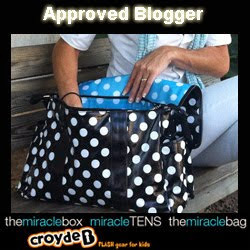 Disclaimer - I was sent the box and contents for the purpose of the review, however all opinion and images are our own.